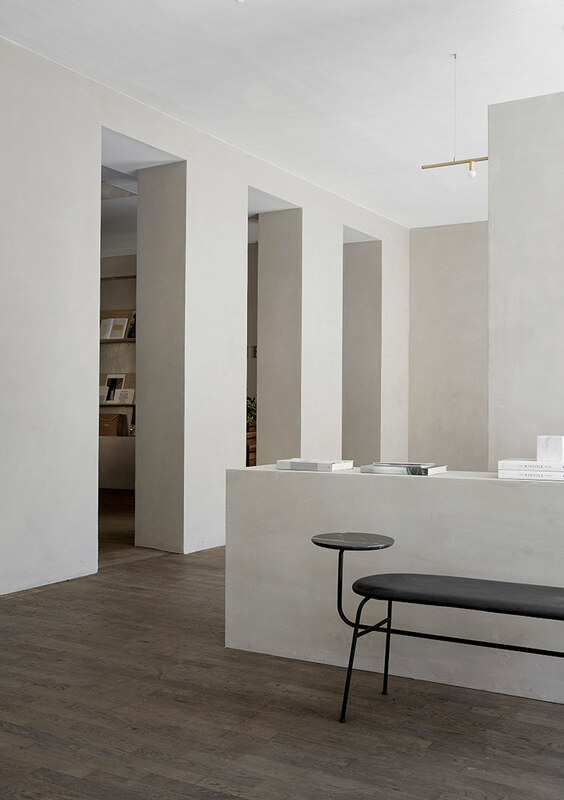 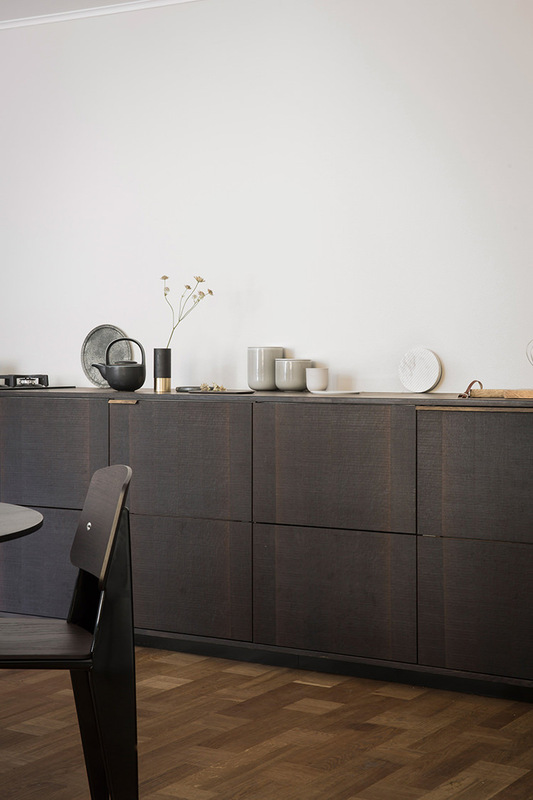 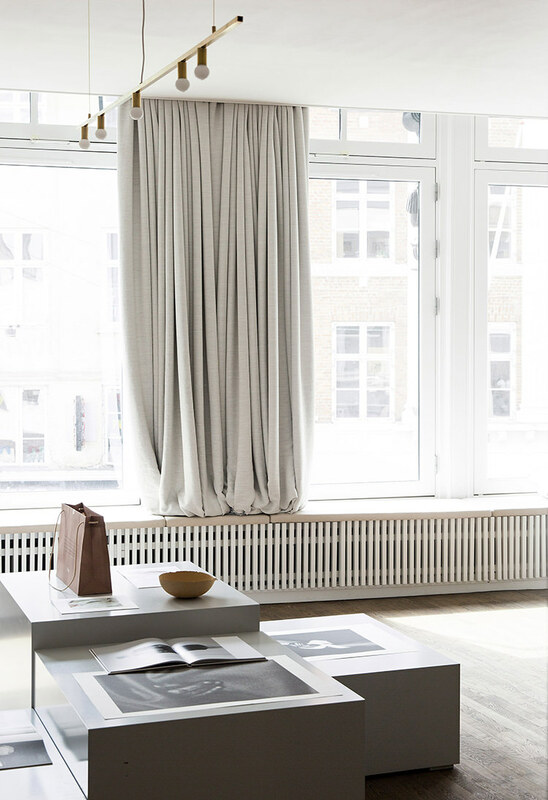 With paired-back prowess Danish design studio Norm Architects have designed a gallery, gathering and work space for Kinfolk magazine in Copenhagen. 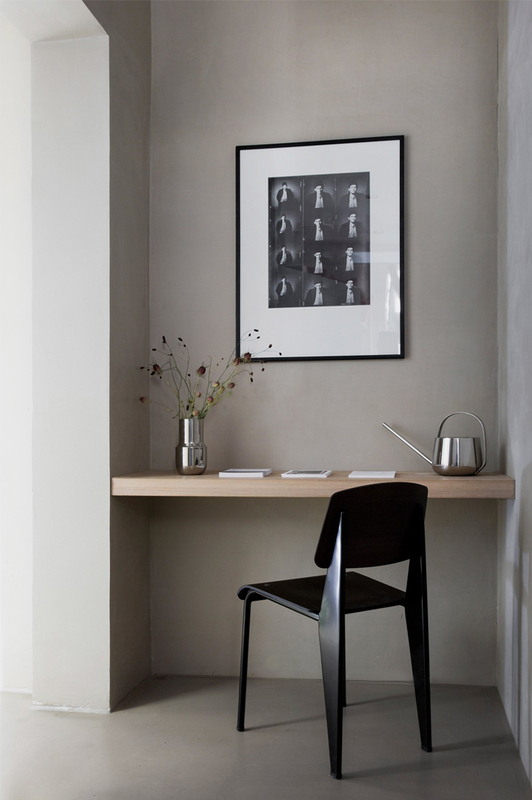 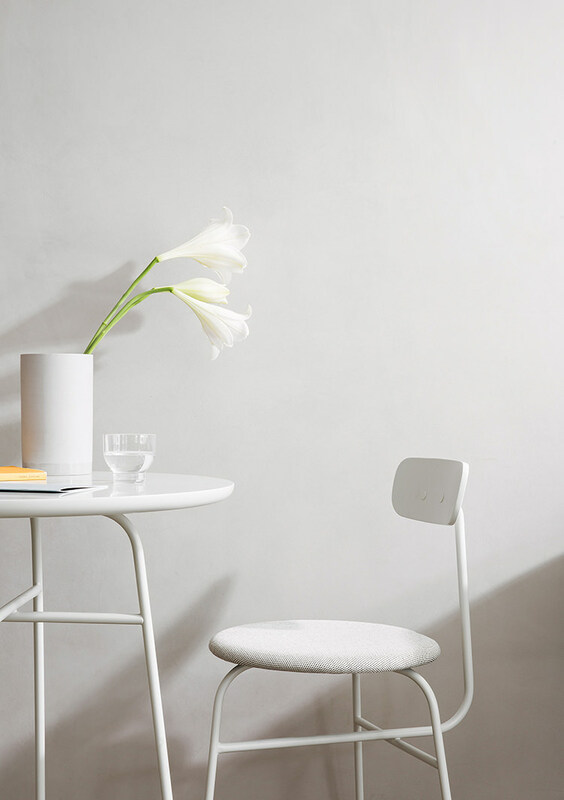 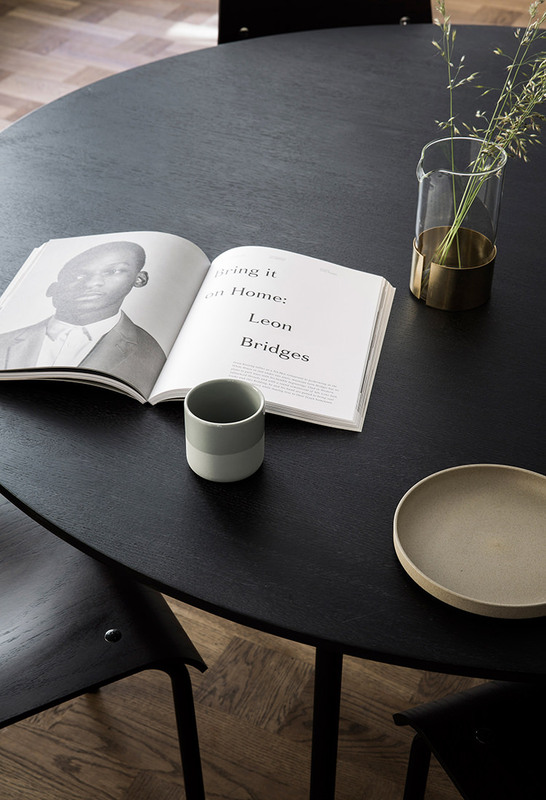 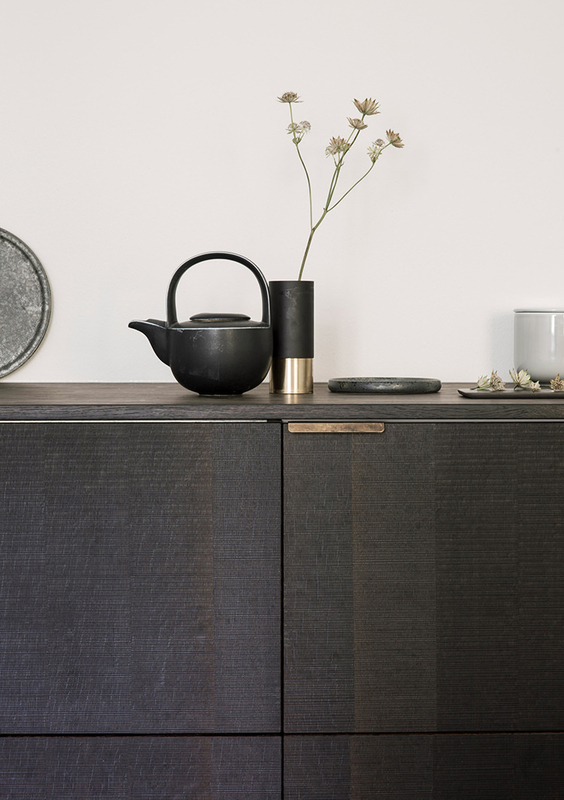 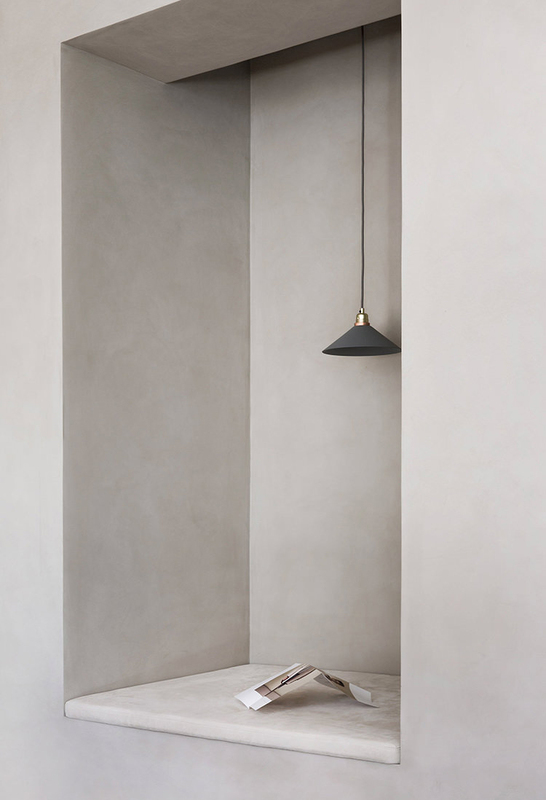 Artfully restrained, the multi-purpose spaces openly embrace the slow living movement so beautifully explored by Kinfolk. 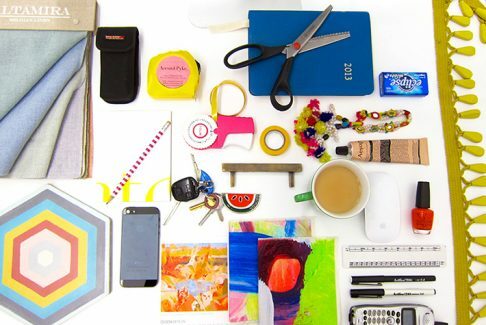 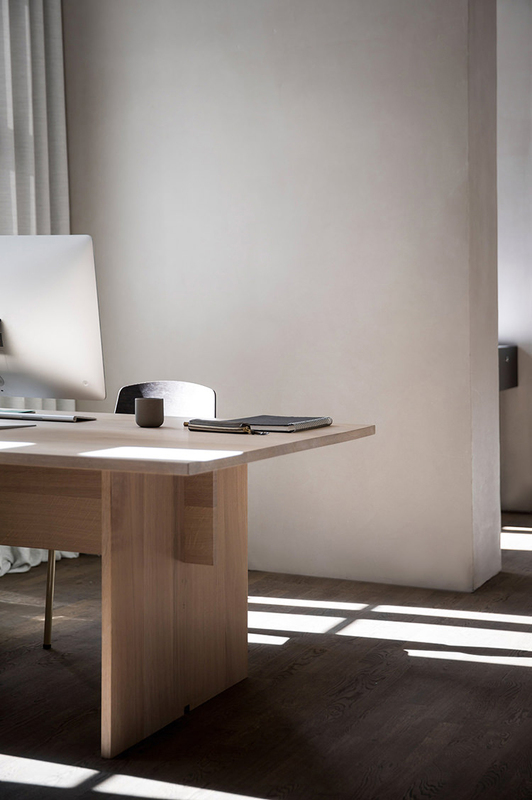 Harmonious, precise and curated, each of the three areas of the studio space – the gallery, the workspace and the meeting spaces – are deliberately ‘warmed’. 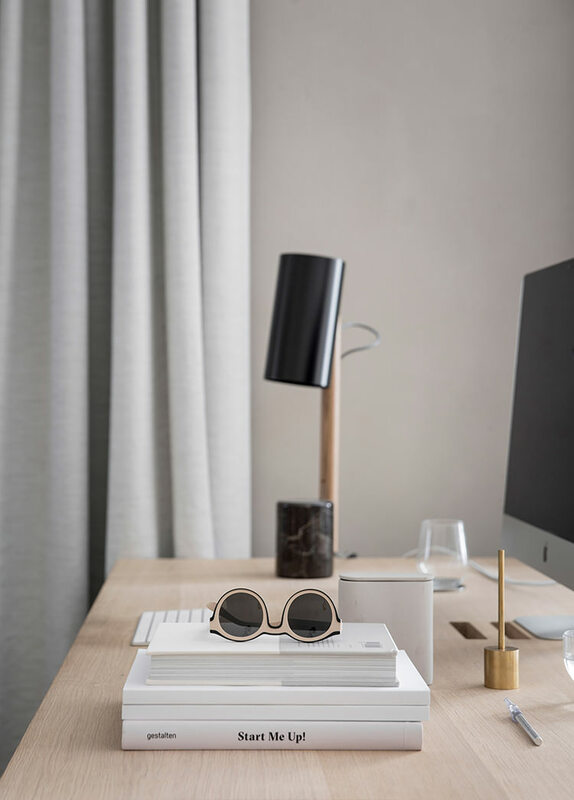 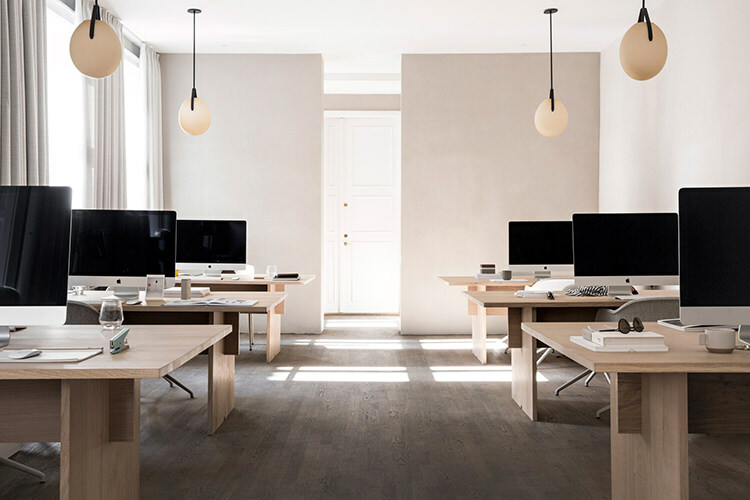 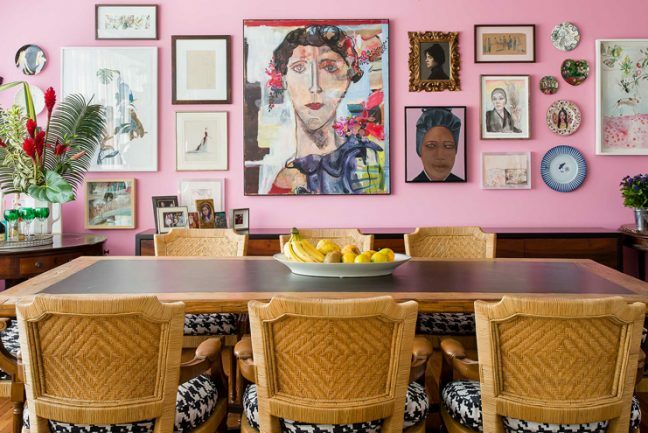 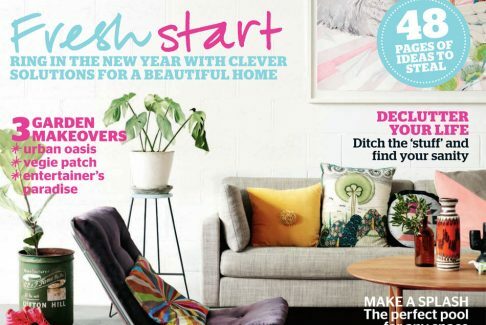 The usual clean white office palette has been layered with the human hand, made visible in the treatment of all surfaces – the mottled swathes of chalky sand-coloured plaster, the timbers brushed, washed or flamed, the slubs of linens visibly falling heavily – each material brimming with texture and soul. 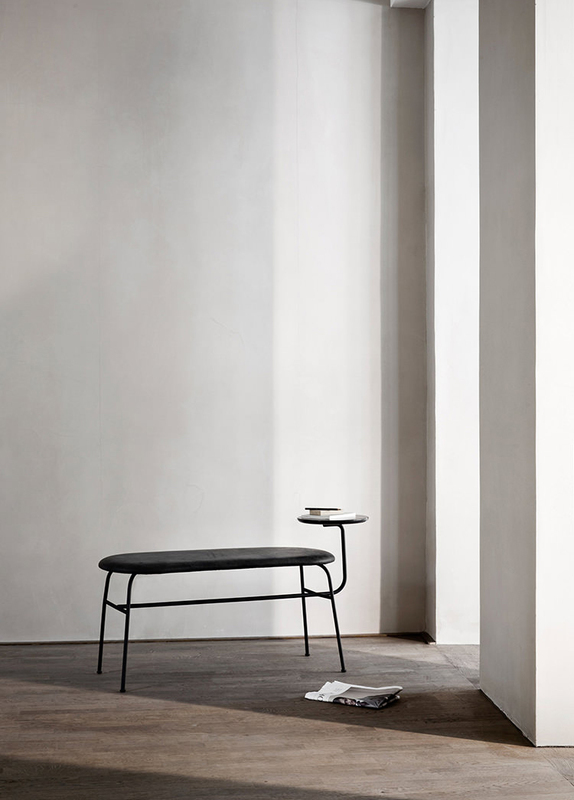 Balancing this earthiness are the strong black and cream lines of the iconic ‘Standard’ chair by Jean Prouvé for Vitra and the sinuous black curves of furniture pieces by fellow Dane, Menu. 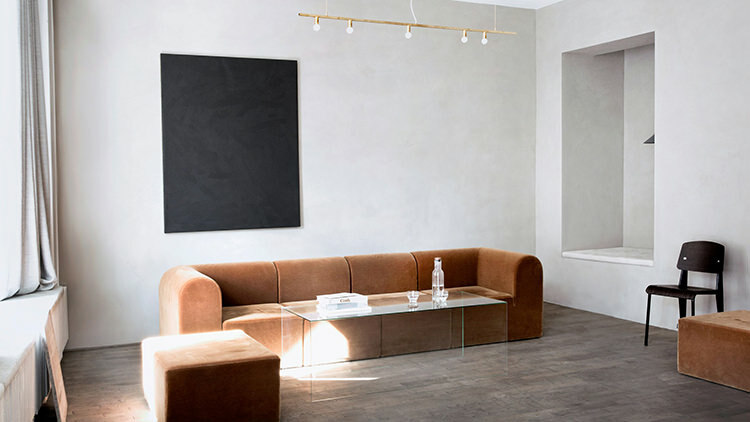 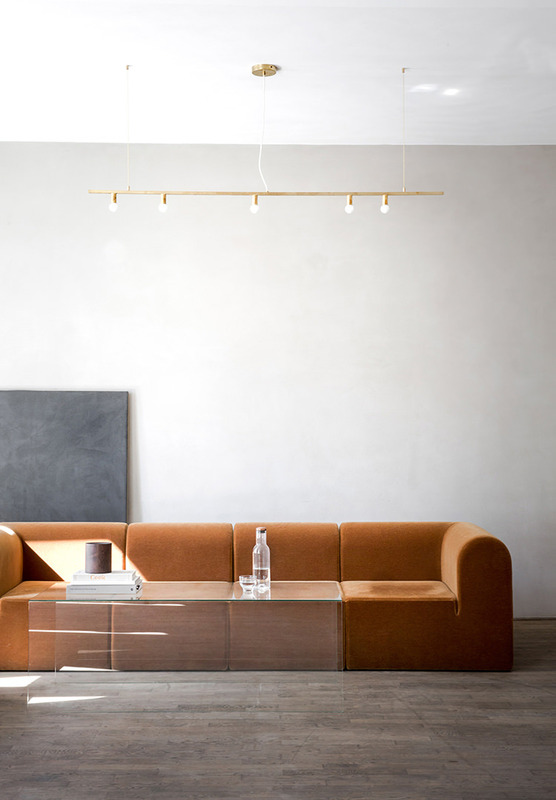 The placement of the dramatically chubby copper toned velvet upholstered pieces against a weightless glass table is a moment to savour the designers exceptional skills in balance and compositiol. 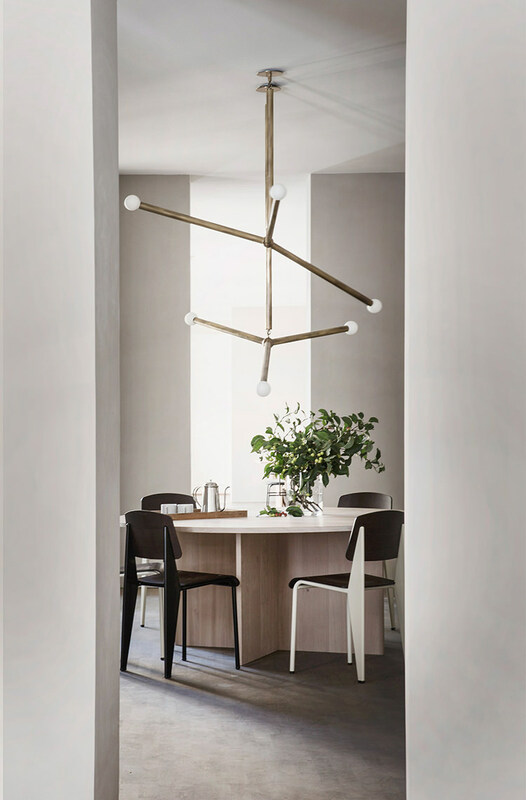 The final delicate embellishments to the space, much like jewellery, are the brass accents in the lighting by Apparatus Studio and Lambert & Fils. 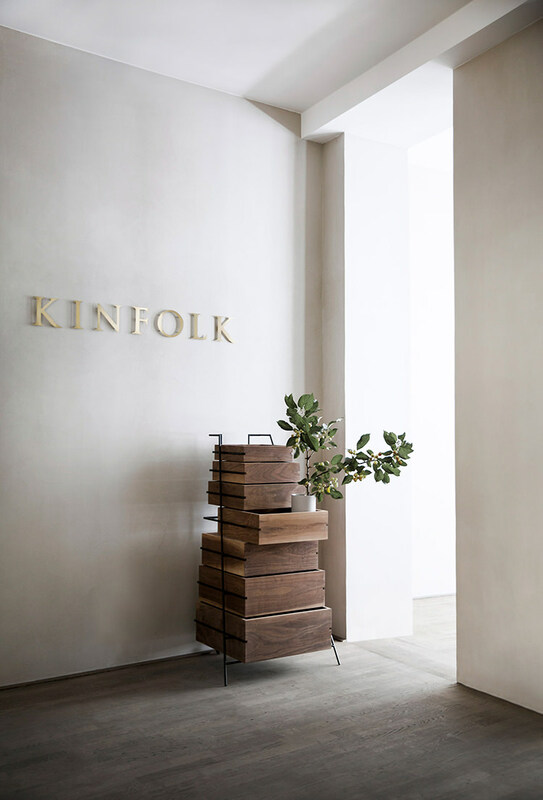 At its heart Kinfolk is a space that warms the soul, a space in which to connect with natural materials, to gather and to solemnize, a truly unique vision for a workspace.